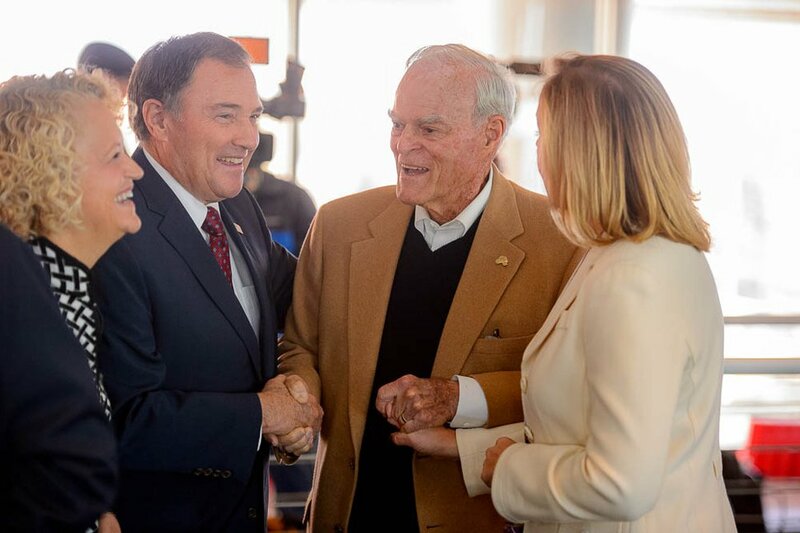 Gehrke: Who wields the power in Utah politics? Some familiar faces and some new ones make the 2019 list. They are Utah’s power brokers, the kingmakers (or queenmakers) and the lever pullers. Some work behind the scenes, but most are out there in the open, making the laws and setting the policies that shaped our year. I have once again taken a crack at creating a snapshot of the 25 most politically influential Utahns, the people who, for better or worse, can get things done or stop a change from happening seemingly by lifting a finger. Since this time last year, we saw considerable change with Sen. Orrin Hatch and House Speaker Greg Hughes retiring, Rep. Mia Love losing her re-election bid, and the passing of Jon Huntsman Sr. Democrats winning control of the U.S. House also means a diminished role for Utah’s members. There are new faces showing up and some familiar names making repeat appearances. It is, of course, highly subjective. There isn’t a clear-cut metric to gauge political clout, but the debate is part of the fun. This year, we asked readers to vote on their own Top 10 list, and you put Gov. Gary Herbert in the top spot, followed by Sen.-elect Mitt Romney, Lt. Gov. Spencer Cox, Zions Bank President Scott Anderson and new Senate President Stuart Adams. One more important note: I took some heat last year for not including more women on the list. You’ll probably notice there aren’t a lot on it this year, either. While women continue to make inroads in the state, Utah’s institutions of power continue to be male-dominated. There are no longer any women in Utah’s congressional delegation, no women holding statewide office, and just one woman in the Legislature’s majority leadership. It’s a problem of our power structure, and this ranking reflects that. Hopefully we see it change in the year ahead. The relationship between the University of Utah president and the Legislature is often rocky, but Watkins is well respected at Utah’s Capitol. Plus, as a shortage of skilled workers presents an increasing challenge to the state’s economy, the importance of the flagship university will only be magnified. Her comments about the handling of the Lauren McCluskey murder drew criticism, including from McCluskey’s parents, but if Watkins is able to play nice with the Legislature, it could bode well for the university and higher education in the state. Reyes took on some high-profile issues in 2018 — joining a lawsuit to gut Obamacare and, after much prodding, engaging in the national opioid lawsuits. He is presumed to be interested in running for governor in 2020. He was a finalist to head the Federal Trade Commission, and his name also surfaced as a contender to run the U.S. Interior Department. He is clearly ambitious, so watch for him to use 2019 to further build his profile for a possible move up. (Leah Hogsten | The Salt Lake Tribune) Incumbent John Curtis, of Utah's 3rd Congressional District, delivers his speech at the Utah Republican Convention Saturday, April 21, 2018. With control of the House changing hands, the former Provo mayor now finds himself the junior Republican member of the delegation and in the minority. That makes it hard to get stuff done for his district. Yet Curtis has an opening. The former Democrat has always postured himself as a political moderate and, if he is willing to work across the aisle and compromise, there is daylight for him to advance some of his legislative priorities. Even if that fails, he is not in danger of losing his seat in 2020. 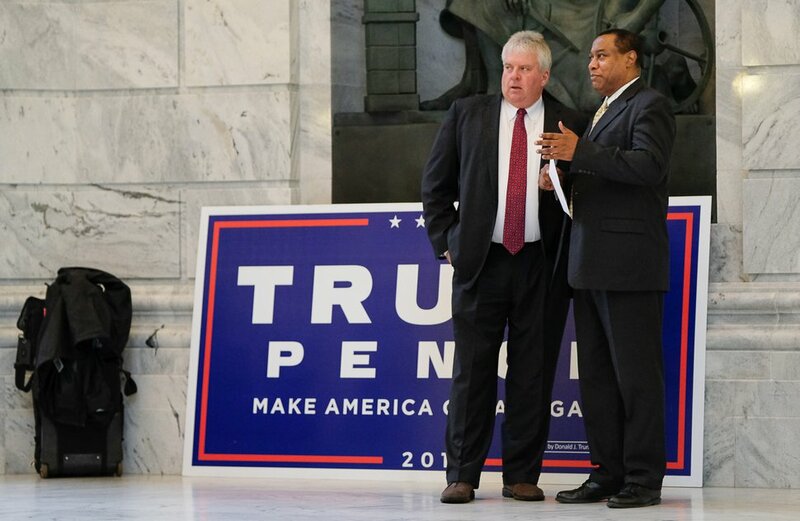 Francisco Kjolseth | The Salt Lake Tribune Don Peay, left, speaks with Utah Republican chairman James Evans before a Donald Trump rally in the rotunda of the Utah Capitol, on Tuesday, Nov. 1, 2016. The founder of Utah Sportsmen for Fish and Wildlife enjoys unique access to the Trump World, particularly through the president’s son Donald Trump Jr., with whom Peay has hunted on several occasions. He moved down the list after Trump’s action on the national monuments was decided, but he will remain a force on Utah public lands issues at the federal level as well as at the Utah Legislature. (Francisco Kjolseth | The Salt Lake Tribune) Libertas Institute president Connor Boyack answers questions from the media alongside Gov. Gary Herbert, Sen. Evan Vickers, R-Cedar City, and House Speaker Greg Hughes, from left, after an announcement of a compromise to the medical marijuana bill. Supporters and opponents of Utah's medical marijuana initiative joined with Utah Gov. 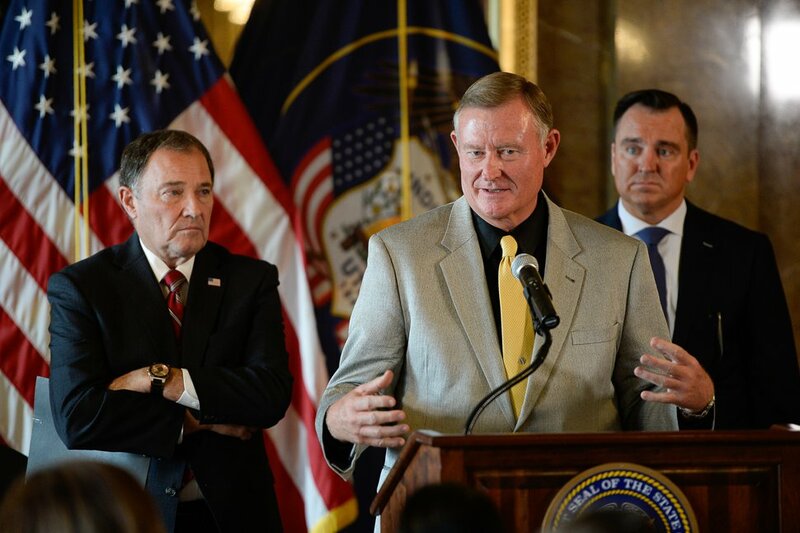 Gary Herbert and legislative leaders Thursday, Oct. 4, 2018, at the Utah Capitol to announce a "shared vision" for cannabis policy. As president of the Libertas Institute, which he founded, Boyack has had some success pushing for libertarian, small government legislation. But he got a spot at the Big Kid Table in 2018 when he brokered a medical marijuana deal with House Speaker Greg Hughes and The Church of Jesus Christ of Latter-day Saints. Opponents of the deal called him a sellout, but it likely saved Proposition 2 from defeat and means Utah has a legal medical cannabis program on the books — assuming it can be implemented. The move elevated Boyack’s prominence heading into the coming legislative session. (Francisco Kjolseth | The Salt Lake Tribune) Former Salt Lake Organizing Committee chief operating officer Fraser Bullock discusses the news that U.S. Olympics Committee chose Salt Lake City over Denver to bid for a future Winter Olympics, possibly 2030, at City Hall on Friday, Dec. 14, 2018. 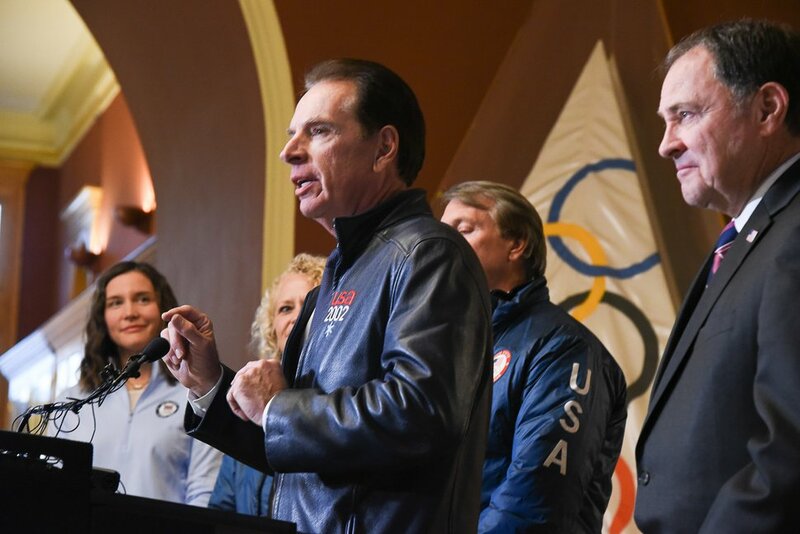 With the U.S. Olympic Committee naming Salt Lake City as the nation’s contender to host an upcoming Winter Olympics, Bullock — who was Mitt Romney’s right-hand man in the 2002 Olympics — will be the point person for those efforts, which means what Fraser wants, Fraser will most likely get. That means a lot of money for improvements to venues, but he has also sounded the alarm about climate change jeopardizing our ability to host the Games, which could have an even more profound impact on the state in the coming year. 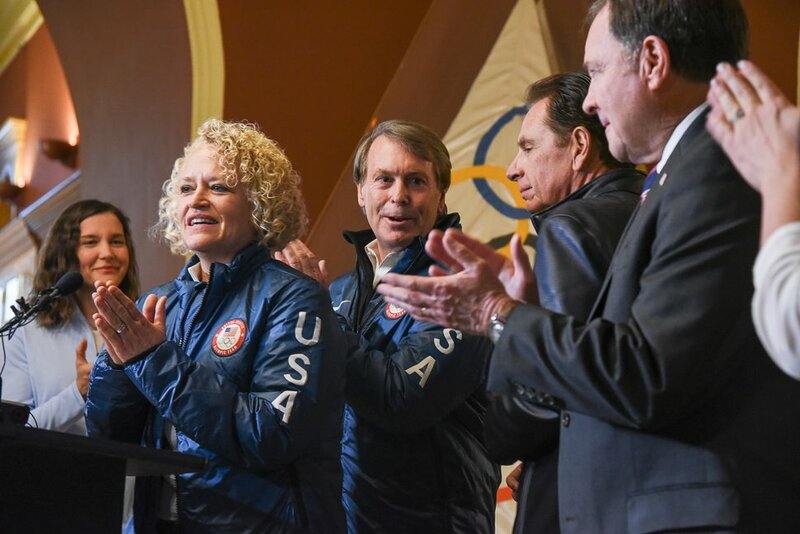 (Francisco Kjolseth | The Salt Lake Tribune) Mayor Jackie Biskupski celebrates with other Salt Lake City officials after getting the news that U.S. Olympics Committee chose Salt Lake City over Denver to bid for a future Winter Olympics, possibly 2030, as they gather at City Hall on Friday, Dec. 14, 2018. Biskupski’s 2018 was most notable for her being rolled by the Legislature and her own city’s council on the inland port legislation. That fight isn’t over, however, and she will have to play her cards wisely in the coming year. She ended the year celebrating Salt Lake being named as a Winter Olympic bid city, a big boost for her administration. With an election looming this year and plenty of challengers lining up, the mayor will also be under pressure to show voters why she deserves another term. (Francisco Kjolseth | The Salt Lake Tribune) Rep. Chris Stewart (R-Utah) attends an announcement regarding the future plans to reopen Wingpointe Golf Course on Tuesday, Oct. 16, 2018. Congress recently passed the Federal Aviation Administration Act, which included Stewart’s language to allow Salt Lake City to reopen the golf course for public enjoyment. In 2018, Stewart used his role on the Senate Intelligence Committee to be one of the most high-profile congressional defenders of President Donald Trump, a man he once compared to Italian fascist dictator Benito Mussolini. Now, with Democrats ramping up the House investigative machinery, he will have plenty of opportunities to expand that role. The challenge will be doing that without the embarrassing gaffes and unforced errors he has committed in the past. (Francisco Kjolseth | The Salt Lake Tribune) Sen. Evan Vickers, R-Cedar City, a trained pharmacist, explains plans for how dispensing of medical marijuana would work during an announcement of a "shared vision" for cannabis policy at the Utah Capitol on Thursday, Oct. 4, 2018. This will be Vickers’ first foray into Senate leadership, but he has shown with his ability to steer the medical marijuana debate — to the frustration of patient advocates — that he is trusted by his caucus. Because the Senate is a small body compared with the House, the leader wields considerable clout. 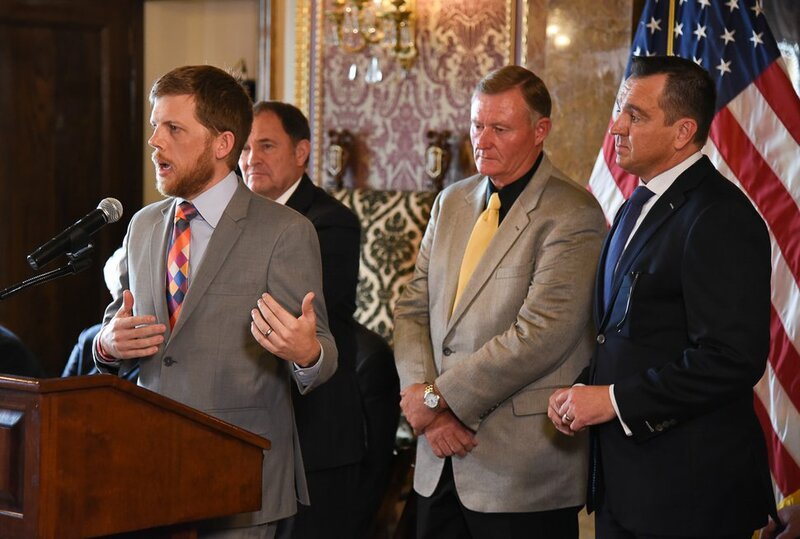 He’ll be the leading voice for rural Utah, and Vickers and new Senate President Stuart Adams will help chart the course for what could be a busy legislative agenda. (Leah Hogsten | The Salt Lake Tribune) Rep. Rob Bishop of Utah's 1st Congressional District delivers his re-election speech at the Utah Republican Convention Saturday, April 21, 2018 at the Maverik Center in West Valley City. Bishop tumbled seven spots down the list from last year after Republicans lost control of Congress and he lost his chairmanship of the House Natural Resources Committee and his clout on the Armed Services Committee. He’s the dean of the Utah delegation, but having committed to retiring at the end of his current term, the potential for him advancing any serious legislation is remote. His party still controls the executive branch, so he’ll have leverage there, but otherwise he is basically running out the clock on his service in the House. 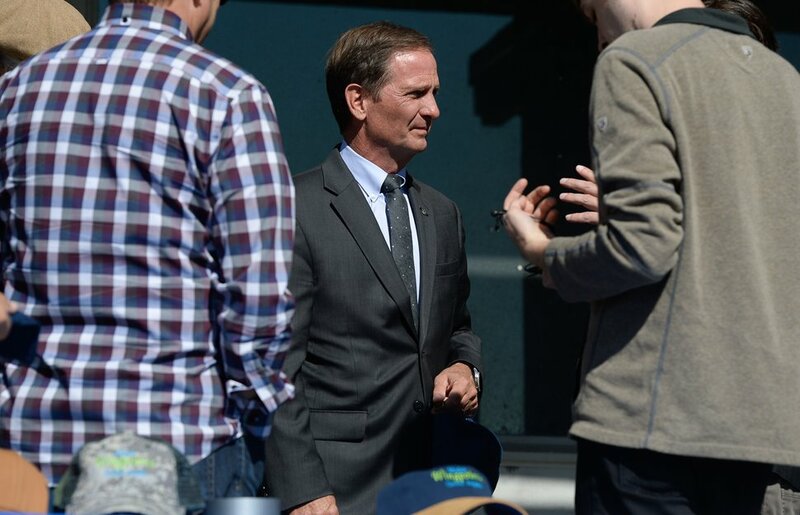 We won’t know who will replace Ben McAdams as Salt Lake County mayor until later this month. 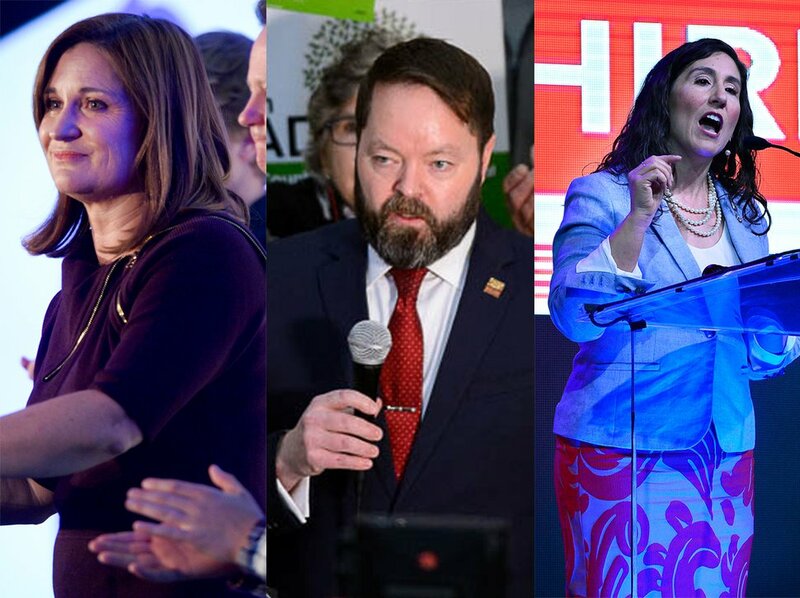 Three are vying for it: County Council members Jenny Wilson and Arlyn Bradshaw and previous 2nd Congressional District candidate Shireen Ghorbani. Wilson is obviously the most experienced, Ghorbani the “new blood,” and Bradshaw in the middle. Whoever wins gets a spot on the list, thanks to the authority the mayor has over shaping housing development, open space, transportation, homeless services and a host of other issues in the state’s most populous county. Developers call a lot of the shots in Utah, and perhaps the most influential among them is Gardner, co-founder of The Boyer Co. The Kem Gardner Policy Institute, at the University of Utah, has taken over the bulk of the economic forecasting and planning for the state. And Gardner himself has given about $500,000 to political candidates at the state and federal levels, splitting it between Democrats and Republicans. He kicked in $100,000 to the movement opposing medical marijuana. On top of that, Gardner is one of Sen.-elect Mitt Romney’s closest Utah allies. Leah Hogsten | The Salt Lake Tribune Rep. Francis Gibson, R-Mapleton, Inland Port Authority board member who was appointed by the Speaker of the House of Representatives, Sept. 26, 2018. As House majority whip, Gibson emerged as an influential voice in the Republican caucus. Now, as majority leader, he’ll be the traffic cop, making calls about what legislation moves forward and and what doesn’t. 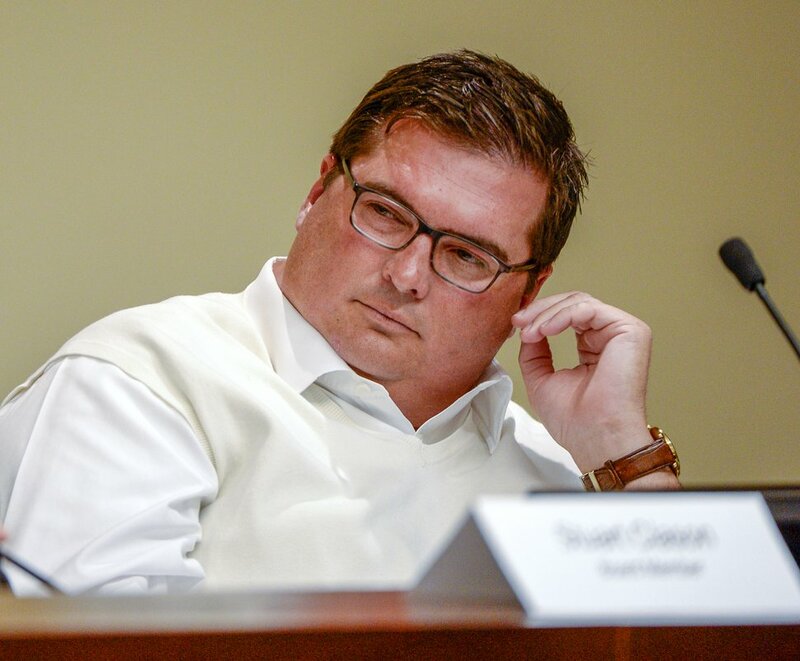 Aside from that, Gibson has used his muscle to sway the direction of the Inland Port Authority Board since he replaced former House Speaker Greg Hughes in the role. (Trent Nelson | The Salt Lake Tribune) Ben McAdams in Salt Lake City, Wednesday, Oct. 17, 2018. McAdams’ narrow win in the 4th District leaves him little margin for error. But, as Utah’s only delegation member in the party in control of the House, he also could have unique leverage. That gives him more clout than more senior members of the delegation. That, plus the looming re-election fight, should give him incentive to try to make deals so he can show some quick results for the state. 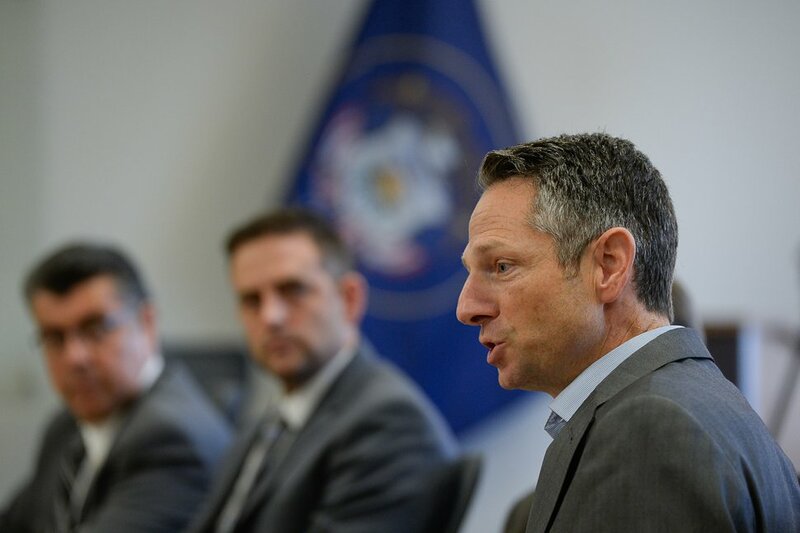 (Francisco Kjolseth | The Salt Lake Tribune) Derek Miller, president and CEO of World Trade Center Utah, hosts an immigration roundtable with community leaders to discussion on how immigrants make essential contributions to the Utah economy. The event marked the launch of the March for Immigration Campaign, a national day of action in all 50 states on Wednesday, Dec. 6, 2017, in an effort to push forward with a solution for Deferred Action for Childhood Arrivals (DACA), the so-called "Dreamers" who came to the U.S. as children. As president of the Salt Lake Chamber, Miller will have his hands full managing the demands of the capital’s business community, including a major affordable housing initiative launched last year. But it’s as chairman of the Inland Port Authority that he may face his biggest challenges and potentially make his most enduring mark. (Rick Egan | The Salt Lake Tribune) Robert Redford, Zions Bank president and CEO Scott Anderson and Heather Graham with Stephenie Larsen, founder of Encircle House. Larsen received an award for her leadership at the 2018 Sundance Film Festival Utah Women’s Leadership Celebration in Park City, Thursday, Jan. 25, 2018. 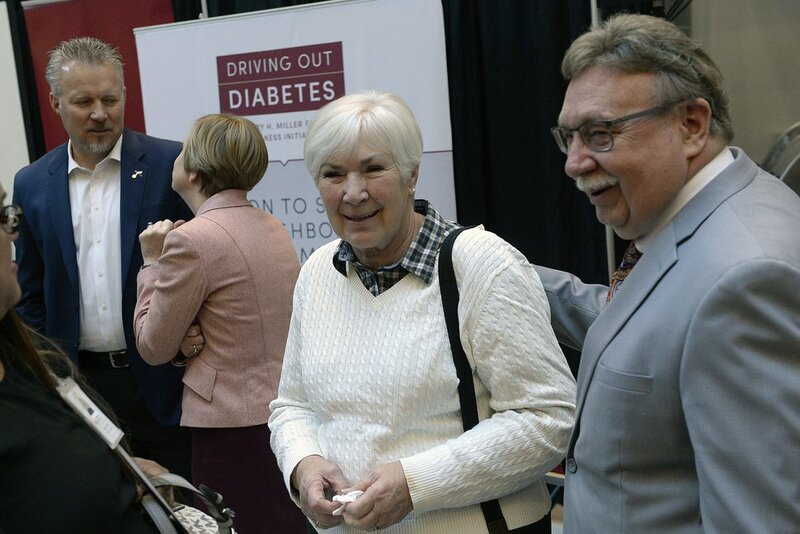 (Al Hartmann | The Salt Lake Tribune) Gail Miller and her husband, Kim Wilson, right, at announcement Nov. 13 that the University of Utah will receive a $5.3 million gift from Larry H. and Gail Miller Family Foundation to fight diabetes, called "Driving Out Diabetes: A Larry H. Miller Wellness Initiative." Anderson, who is president of Zions Bank, and Miller, the wealthiest person in the state, remain two of the most influential Utahns. Anderson’s role at the head of the state’s largest bank and one of its largest employers makes him a player in issues across the state. Miller has given generously in recent years to political causes she believes in, and her son Greg may be a candidate for governor. These two will continue to have their hands on the levers of power and remain leaders in the community with their philanthropy and with their involvement in policy. (Francisco Kjolseth | The Salt Lake Tribune) Lt. 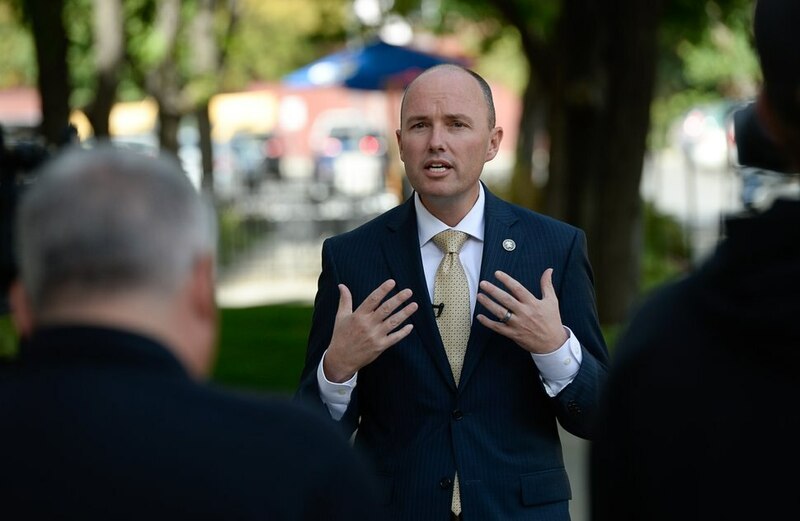 Governor Spencer Cox announces plans by Shelter the Homeless to sell the downtown community shelter property to the State of Utah while gathered in front of the Rio Grande Depot on Tuesday, Sept. 25, 2018. Lieutenant governors traditionally manage elections and attend functions the governor would rather not. Cox, however, has carved out an important policy portfolio in the Herbert administration. More than that, he has generated a following of his own via social media by being engaging and generally unobjectionable. It has made him well-liked among unaffiliated voters and even Democrats, which will serve him well as he lays the groundwork for his gubernatorial bid, starting, well, now. You should obviously be No. 1 on the list. According to the Utah Constitution, “all political power is inherent in the people.” We saw the people exercise that power in an unprecedented fashion, passing three ballot initiatives in the 2018 election. Then we saw how it can be undone by the Legislature and other power brokers when they replaced the medical marijuana law. It’s true, the people still have the power, though. And it’s like a muscle — it gets stronger the more you use it. (Steve Griffin | The Salt Lake Tribune) Senate Majority Whip, Sen. J. Stuart Adams, R-Layton, speaks to the media as Senate leaders make themselves available for questions in the Senate President's offices at the state Capitol in Salt Lake City Thursday, Feb. 15, 2018. (Rick Egan | The Salt Lake Tribune) Rep. Brad Wilson talks to the media after being selected to serve as speaker of the House, Thursday, Nov. 8, 2018. They’re the new leaders in both chambers, but they are not new to the Legislature. For years now, Adams and Wilson have tackled weighty policy issues and used their leadership positions to cut deals and bury bills. Now they’re in charge and they have not wasted time making their mark on the respective bodies, shuffling committee assignments and setting the legislative agenda for the coming year. 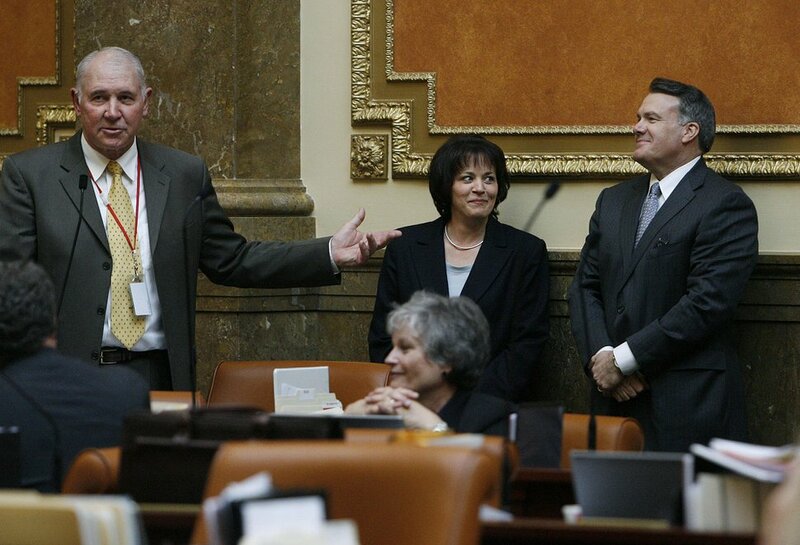 Scott Sommerdorf l The Salt Lake Tribune Rep. Bill Wright (R-Holden), left, introduces former Speaker Marty Stephens (far right), as then-Speaker Becky Lockhart listens in the House of Representatives, Thursday, Jan. 27, 2011. He hasn’t held an elected office since 2004, yet may exercise more power as the mouthpiece on Capitol Hill for The Church of Jesus Christ of Latter-day Saints than he ever did as House speaker. We saw that power in action with Proposition 2, when the church worked out a replacement bill to supplant the popularly supported proposition. It was the latest example of the church winning on policy issues from liquor laws to hate crimes. With nearly 90 percent of the Legislature belonging to the faith, Stephens will continue to have a powerful voice in Utah’s Capitol. (Trent Nelson | The Salt Lake Tribune) USOC CEO Sarah Hirshland, right, speaks with Jackie Biskupski, Gary Herbert and Spence Eccles at a luncheon at Rice-Eccles Stadium during a visit to Salt Lake City on Wednesday, Nov. 14, 2018. He’s the chief executive of the state, has sky-high approval ratings and doesn’t have to worry about running again. He would likely top the list, were it not for a Legislature that seems to relish in keeping Herbert in check. They’ve overridden his vetoes, ignored his budget proposals, driven the policy agenda and — over his objections and with the voters’ approval in the last election — given themselves the power to call a special session. Make no mistake, the governor still has power, but it will remain counterbalanced by a stingy Legislature. Lee occupies a curious position. Like any senator, he can be a goalie, blocking legislation or nominees — as he did recently with a major public lands package at the end of 2018, or the nominee to the Equal Employment Opportunity Commission. Other times, his far-right positions overlap, for one reason or another, with colleagues on the left, as they did when he collaborated with Sen. Richard Durbin on a significant justice reform package or Sen. Bernie Sanders on a resolution to end U.S. support of Saudi Arabian attacks in Yemen. It can put him at an interesting confluence of power, and it’s up to him how he uses it. He’s a junior senator from a small state, a low man on the Senate totem pole. He’s also a former presidential nominee who commands national media attention and is the de facto banner carrier of the traditional wing of the Republican Party. He also just won election by a 2-to-1 margin, his worst showing in the state ever, but leaving him almost entirely free of electoral worries. When he speaks, reporters from across the country will listen. When he acts, his fellow senators will take note. 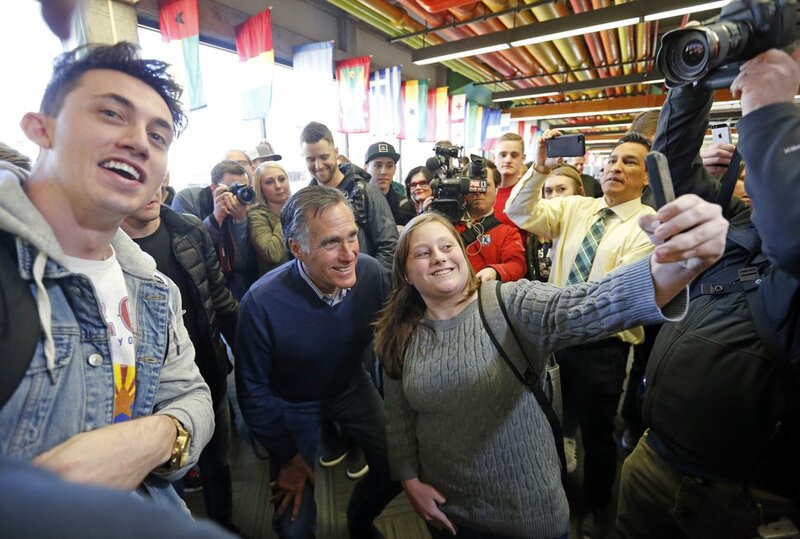 Through his stature and his office, Romney now commands a level of political prominence and power that no other Utahn does. • Former House Speaker Greg Hughes: Hughes was No. 2 on last year’s list and could rank anywhere from top to bottom this year. The problem is, we have no idea what he will be doing, aside from running for governor. • Thomas Wright: Wright is the state’s Republican national committeeman and, on the local level, often finds himself as the party’s peacemaker. Well-connected and well-respected, he also could be a viable candidate for governor. • Sen. Karen Mayne: The leader of the Senate Democrats, Mayne is effective despite being in the minority because she is beloved by everyone in the Legislature. • Fred Lampropoulos: His medical device company is on pace to eclipse $1 billion this year, he has given more than $634,000 to politicians and causes, and he has proven adept at leveraging his clout to get tax incentives to expand. 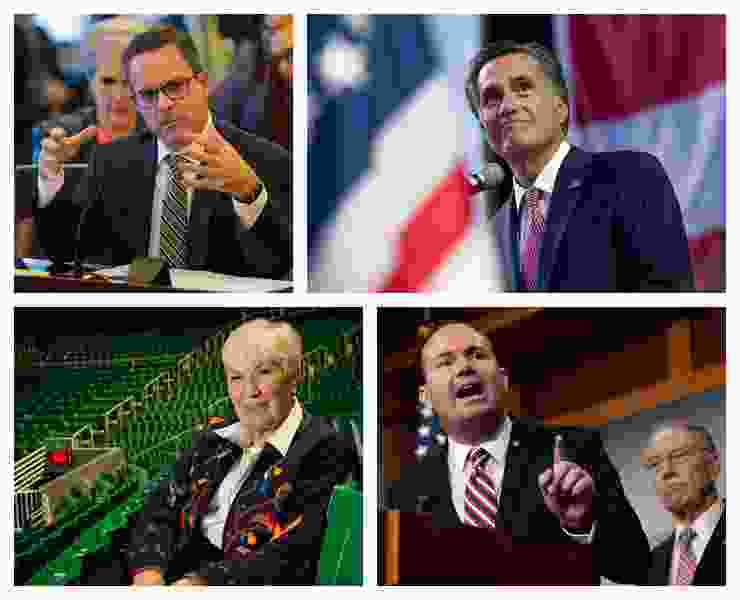 • Ryan and Jared Smith: Founders of Provo-based Qualtrics, which recently sold for $8 billion, the Smith brothers have worked the Legislature effectively before, and that kind of cash could make them players on the political front. 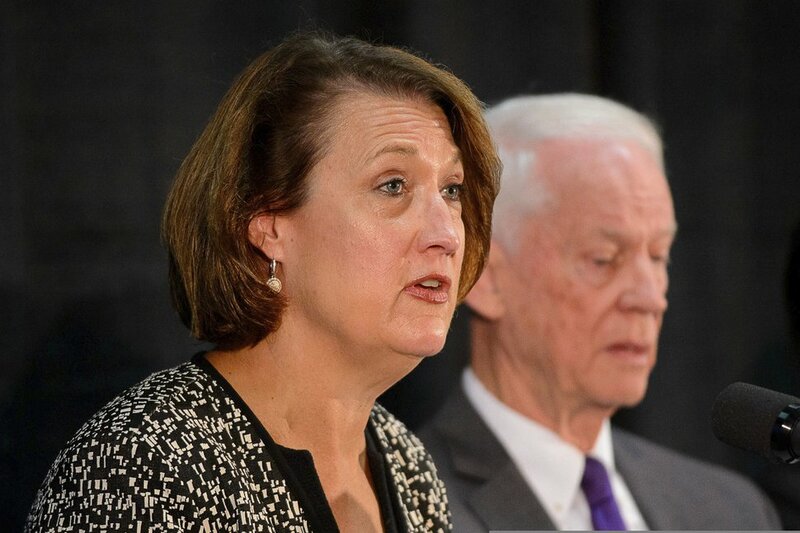 • Salt Lake City Council Chairwoman Erin Mendenhall: Mendenhall was willing to make a deal with the Legislature on the inland port instead of fight a losing battle. As port planning unfolds, it will be the council members, and Mendenhall specifically, who will have a voice in the discussions. Correction: The story has been updated to reflect that there is one woman, Sen. Ann Milner, who is assistant whip in the Legislature's majority leadership.